Switching tribes can ruin someone’s game. Survivor is known for their twists, and just like the past, Survivor: Cambodia – Second Chance is following the game plan. Some twists are season-long, like the early tribe divisions, while others can happen immediately, like searching for a hidden immunity idol. All can test someone’s adaptability in the game of Survivor. However, it’s ultimately the dreaded tribe swap that can make the biggest impact. The tribe swap isn’t a new feature–it’s been around for many years now. It comes in every season to shake up the game and eliminate some early alliances. All the castaways expect it to happen, but once they hear the news from Jeff Probst, it sends their world into a tailspin. Chances are they could be heading back to a camp with the majority. But, on the other hand, they could also be placed in a different tribe with a minority alliance. Their fate is left up to a random draw and a colored buff. Many powerful players and alliances have seen their games end thanks to the tribe swap. Once they’re over at a new tribe with new people, it can be hard to pick up the pieces and stick around. Fate is a cruel mistress and sometimes castaways are left with the short end of the stick. 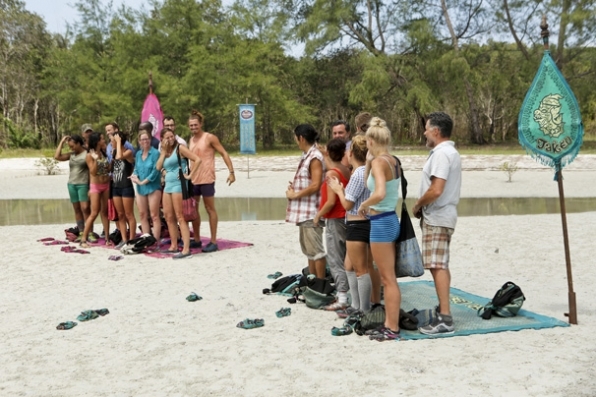 This week’s episode of Survivor: Cambodia – Second Chance saw the castaways dissolve from two tribes into three new tribes. Two groups would retain their old camps and names while the third would have to start fresh; they would have to build their camp from scratch and develop a new sense of team unity. Everyone was crossing their fingers to not join the new Angkor tribe. Unfortunately for Jeff, Andrew, Peih-Gee, Tasha, Woo and Abi-Maria, they were the unlucky six who drew the yellow buffs. Life was hell for the new Angkor tribe. Their tribe had to build their camp with only a few hours of sunlight left, the rain washed away their spirits, and they really couldn’t trust each other. The tribe featured more former Ta Keo tribe members than former Bayon. However, the cause of drama from Ta Keo was now sitting in the new tribe: Abi-Maria. Abi-Maria’s longevity is a confusing one at that. She’s rude, temperamental and is known for causing drama. However, she is adaptable. She can survive on her own and her tribe members, even with knowing they detest her, can value her usefulness as an additional vote. Luck is on Abi-Maria’s side because at her lowest moment, someone sees her value and keeps her around. It’s a quality that can help someone inch closer and closer to the finals. Unfortunately for the Angkor tribe, their luck never came and one of their own got voted out. Peih-Gee couldn’t survive the tribe swap. She ended up in the worst tribe with her worst enemy. Abi-Maria would never forgive Peih-Gee for a simple accident regarding her bracelet; her game already had a few strikes against her. If luck had been on her side and she were on the other two tribes, she might still be in the game. The tribe swap strikes again! This series of events is a classic move in the Survivor world. Peih-Gee was sitting pretty behind-the-scenes and letting the bigger personalities and characters target each other first before making a big move herself. With exception to the Abi-Maria debacle, she wasn’t on anyone’s radar. Until she let her personal feelings get the best of her, the game hadn’t shifted against her. Abi-Maria and the tribe would have voted out someone else. The former Ta Keo members turned against one of their own, even when they’re already at a disadvantage this season. There’s no telling what ramifications this could have later in the game, but for right now, Abi-Maria can sit back (along with the viewers) and enjoy the handiwork of another blindside. 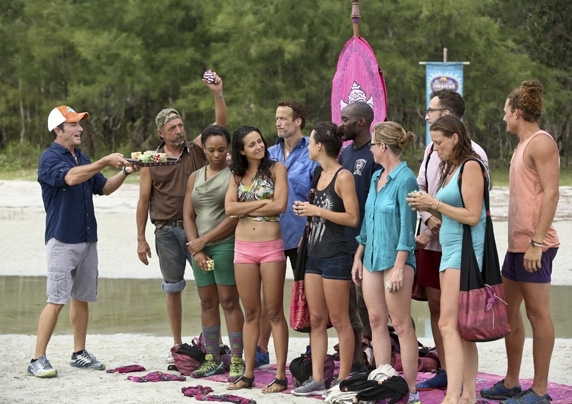 What did you think about this episode of Survivor: Cambodia – Second Chance? Share your comments below. Previous ArticleTV Review: Arrow 4x01 "Green Arrow"